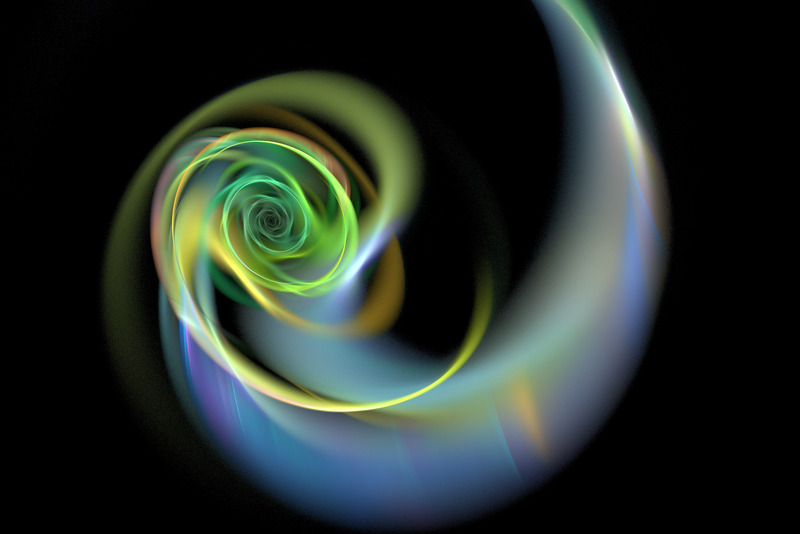 A defocused, decreasing, spiral fractal pattern, suggesting the true self being reinvented and released into the world. Image: freeimages.co.uk. In a sense, we are Tony Bond and Kristen Barney. Yet like you, we are reinventing ourselves. All of us –individuals, leaders, and organizations – are being challenged to move beyond who we were yesterday or last year. This is the gift of our challenging economic times. All of us are called to be more, to dig deep within ourselves to draw out more of our potential. The good news: this is a chance to be truer to ourselves, which basically means shedding unhelpful thoughts, beliefs, or habits which are generating unhelpful results, and embracing more helpful ways of seeing and being. How can we share the essence of transmutation – shedding old skins and embracing different or refined identities – with individuals and organizations who might not connect with buzz words like innovation or reinvention, yet are being urged by the new circumstances of economic and other conditions, to change? We have created a three-part blog post to share our conversation, including several practices you can use in your daily life to support self-transformation. We have used a wide range of terms to refer to transformation, including change, transmutation, reinvention, innovation, and refinement. Many authors have written about the different meanings of these words and for this post we are using them interchangeably to refer to internal shifts that generate new kinds of results in your life. We invite you to explore what these terms mean for you. Tony: When I think of the reinvention process, and how insights can be transferred to other contexts, I am reminded of Professor Chris Argyris’ research, which found that the more educated one is, the less likely one is to look reflectively within. (See Argyris’ Harvard Business Review article on this theme.) As leaders, we are tempted to look on our organization as something outside ourselves that we are managing (like a puppeteer with a marionette), while at the same time forgetting to manage (or reflect on) our own impact on the situation or system. The truth is, the idea that we are “in control” as leaders is somewhat of an illusion, and our efforts to control actually block critical insights. When leaders and individuals can look inside at their own role in a situation, that’s when organizational transformation begins. I experienced this myself: when I paused to see how I was contributing to a situation, a veil of illusion was lifted and I could see more clearly. I’d like to use a recent, personal experience to help illustrate this point. I recently sat down to do some business planning for the upcoming year, because, as an independent consultant and business owner it is important to have a clear strategic direction, as well as make room for gathering and studying insights that can help shape future actions. For this business planning, I went through a process of divergent thinking, brainstorming as many ideas as possible to capture new market opportunities and to bring even greater value to my clientele: small and medium enterprises (SMEs). The next logical step was to switch to more convergent thinking, selecting a few ideas that created the best match between client needs and my capabilities and interests. This is where the problems started for me. For whatever reason, I found myself locked in a state of mental block. The more I worked “on” my business, the more frustrated and stuck I felt. For whatever reason, I was not experiencing the flow that this exercise normally brings. I found myself trying to choose between numerous directions with no clear way of discerning what was best. Fortunately, I was able to work through this with my coach. I had fallen victim to the same trap that clients face. I was busy working “on” my business as if it was something separate from me, analyzing or breaking each part of what I do into pieces that could be easily examined. Surely we need to take a global or “bird’s-eye” view of our organization to see the big picture and perform analysis. But, just as important is taking a “worm’s-eye view” to really understand opportunities and problems. Rather than seeking help, I was controlling this process, trying to figure things out on my own. I thought, “I do this for a living. Why shouldn’t I be able to figure this out?” Once I asked for help, my coach guided me in exploring my relationships with clients and the collaborations I was seeking with fellow consultants. The choices and decisions became so much easier when I relinquished some control of the process and applied the filter of personal values and the difference I hope to make in the world. When I saw myself as part of the system, and shifted between high- and low-level views, creativity flowed through. You can try this too. Practice 1: Tapping into your Creativity. Sparking creativity often requires a shift from the big picture (bird’s-eye view) to the here and now or even the past (worm’s-eye view). When you are at a point of inertia and lacking creativity try tapping into your memory. Try to go back and remember as many past facts and experiences (worm’s eye view) related to the situation as possible and start mining them for inspiration. Try to take the facts and feelings you have stored from the past and connect them in new ways. Map them graphically on large paper or use other creative means such as collage or movement to explore them. Often, creativity and innovation simply require taking things that already exist and connecting them in new ways. This practice can help you recall previous exercises and experiences that have become essential parts of your journey, connect some dots, and come up with fresh ideas and perspectives to go forward. Kristen: I agree that it is easy to look at situations or other people as though one were in a bubble, and not really part of it. I even experienced this within my own personal system during a yoga retreat with the renowned teacher Angela Farmer. Angela said to move my foot “from the foot,” meaning to let the foot initiate the movement, not my brain. As I observed what this was like, my brain felt freed up because I was not concentrating so hard. Actually my foot needed very little from the brain to move, and the movement felt very different: more genuine, more fulsome, and more integral. It resulted in a better yoga pose. For me this is an analogy for what is possible between leaders and organizational members: when an organization has a culture and practices that support everyone in stepping into their highest potential, leaders can look to organizational members to take initiative and excel beyond what is possible when controlled from the top, as I experienced to be possible with my foot. In fact, the viewpoint and intention of the foot are critical to reinvention. Anyone can learn to see from divergent perspectives, taking in life and situations from the viewpoint of the foot, neighbor, co-worker, partner organization, or even from the wholeness of the situation. Where one chooses to place one’s attention, says Dr. Otto Scharmer, influences what one will perceive and how that person will impact the situation. He describes seven different “structures of attention” and the kinds of dialogue and outcomes that are likely to result. The type of attention he calls generative flow, or presencing, allows one to pick up on subtle and fleeting signals or information which can most helpfully inform the process of innovation. Receiving subtle information is what Dr. Scharmer calls “learning from the future,” which is the subtitle of his book, Theory U. Being able to step outside the places one habitually places his or her attention is a powerful practice for opening to new and different information that can support reinvention. Look at a situation from seven different structures of attention. What does the situation look like when you are focused on what you think people want to hear from you? When you place your attention on the issue and where you truly stand on it? When you put aside your view for a moment and truly inquire, and experience what the other person feels? And what does it feel like when you place your attention broadly across the whole situation? What does it want to become? What is emerging into being? Visit this site for more hints on what these seven modes are like. Recognizing how we are viewing ourselves as part of (or separate from) the larger system can bring new awareness which can change how we are interacting with the system and generate valuable shifts in results and realities. Further, we can look from bird’s-eye or worm’s eye perspectives, look for initiatives far from the top of the system to have a positive impact on outcomes, or place our attention in several different locations to gain new insights about what is possible and emerging. Look for more on Embracing Reinvention in the forthcoming Part Two of this series. In the meantime, we invite you to use the above practices and comment below on your observations and experience with personal reinvention. We look forward to learning from you, and welcome you to visit our web sites to learn more about services that Kristen and Tony offer: Opening Creativity and Nuspace Consulting. Thank you for reading! Yes – thank you. Reading your words on the four structure of attention inspires me to look at my business and marketing from those four view points. Feels productive, exciting. Then, will I mine my past for gems, too? Love the inspriation. Thanks! Robbin. Thank you for reading and sharing your comments. All the best! Lots of food for thought in Embracing Reinvention – the structures of attention are a great template for the nature of leadership and how people grow as leaders. What I often see is three levels of attn in leaders – the first level is focused on the task and being successful (how am I doing?) – the second is on the team and fostering teamwork (how are we doing as a group?) – the third is overarching and strategic (what needs to happen here within the group or between different groups?) Perhaps this is from view of the worm (in the ground) to the deer (on the ground) to the bird (above the ground). the most successful obviously know how to operate at all three levels, Reinventive or adaptive skills draw upon all 3 levels. Maybe even there is a 4 level where we give up control and put our attn on something greater that emcompasses all the other levels as Tony suggests in his personal story. Harrison, I love your view of the different levels and find many leaders placing the majority of their focus on the first level, the task at hand. I believe this fourth level you’ve described is not only where we find deep meaning in life and work but also where we can help those that we lead find meaning as well. Thanks for sharing! I have come to the belief that lifelong learning has three goals: learning to live with yourself, learning to live with others and learning how to contribute to society. As I sat in Guru School to be certified as a consultant in Organizational Transition I already understood that before an “organization” could reinvent itself, the people in that organization needed to be offered the opportunity to go through the process of reinvention individually and collectively. What I came to question was the lack of discussion on how gurus prepared themselves for reinvention. My epiphany was ” my personal example would be more powerful than any theory or exercise I might offer to my clients but I could not give them what I did not have.” If I was to help folks along the road to reinvention I certainly needed to know how to live with them and I also needed to be sure I was “adept at self-transformation”. 1. Some knowledge can only be absorbed through the wisdom that age and experience bring. 2. Logic and reason are unwelcome guests at the table of politics. Skip. Thank you for reading our blog and sharing your thoughts. Your point #1 reminds me of Abraham Maslow’s thoughts around the second half of life and the process of self-actualization. It’s about discovering the real self – about transcending the social self that dominates the first half of life. Transformed people transform people and we could say, transformed consultants transform organizations. Cheers!